Street surgery weekly in Earley, locations around the wards. Contact Pauline for more details or to arrange an appointment. Pauline has a BSc in Zoology a DBA and an MBA. Following her first degree and a year of scientific research, she started work as a computer programmer in the aviation industry. She has had a wide variety of roles in IT applications development, compliance and support followed by a period running Sarbanes Oxley compliance and as CISO. She has held senior management roles in aviation outside IT including heading up People Services and Airport Transformation and is currently responsible for global service integration. Pauline has lived in Earley since 1984 and has so far served on Earley Town Council for twenty three years, formerly as Mayor. She is married with one son who is grown up and is now researching into the Epidemiology of Polio at Imperial College. At the Borough Council she has been vice chairman of Audit, Conservative group chairman, Executive member for Residents Services and a member of the Personnel board. 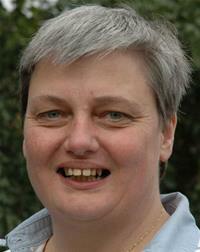 She is currently Executive Member for Housing and Director of Wokingham Holdings Ltd. In her spare time she is very interested in photography and history, especially naval military history, architecture and of course aviation.